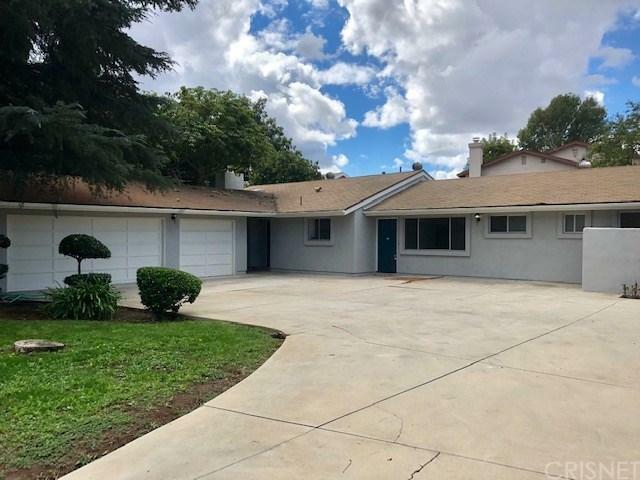 Set back from the bustle of the street, down a long private gated driveway, this 1,964 sq ft, 3 bed, 2.5 bath, single-story rambler has a classic southern California easiness. Sitting on an amazing 12,000+ square foot lot and newly renovated, the home blends the casual comfort of the architectural style with fresh, contemporary touches. 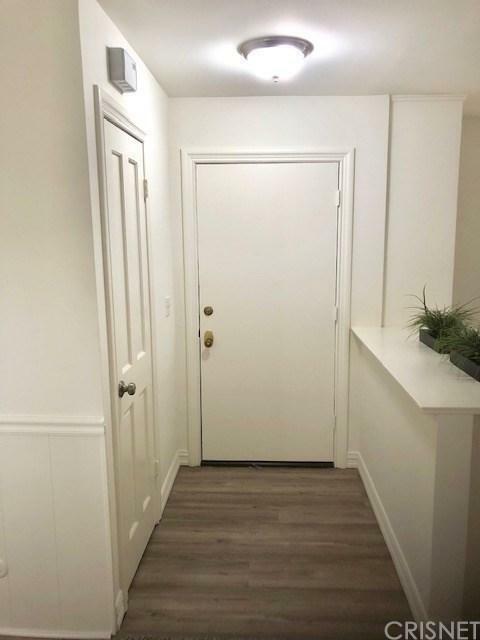 Entry opens into cozy front room. Clean, modern kitchen with new hardwood/laminate flooring, new countertops, and ample storage in freshly painted cabinets and drawers and connected dining area. 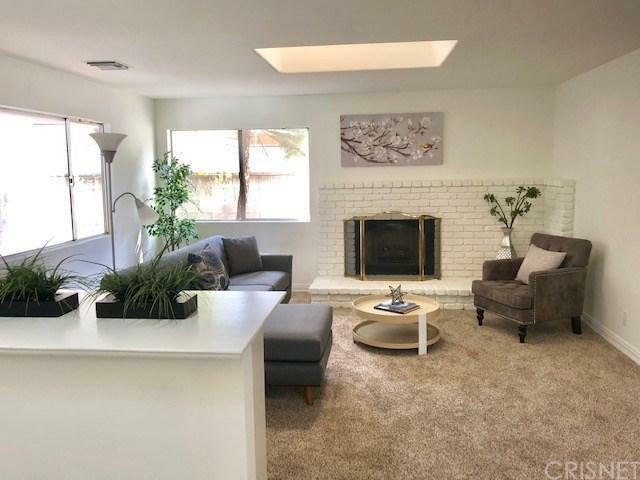 Opens to carpeted living room full of light with built in cabinets and shelves, large windows and skylight, anchored by a lovely, weathered brick hearth and fireplace. Indoor laundry area with washer and dryer hook ups and dedicated sink. 3 sizable bedrooms with large windows, carpet, and double, mirrored closets share a full hall bath. Master bedroom features large widow and fireplace with built in shelves and cabinet. En-suite bath has double sink vanity, shower, and soaker tub. Near to parks, restaurants and shops. 3 car garage provides ample parking. Part of the Los Angeles School District, near Reseda Elementary, William Mulholland Middle, and Reseda High Schools. 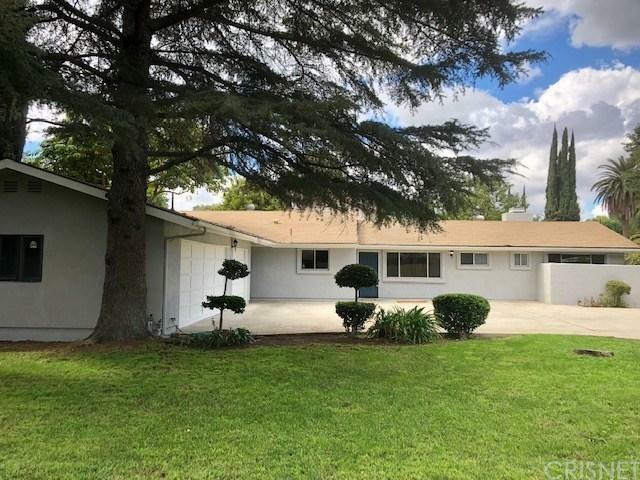 Sold by Jake Colina BRE#00985615 of Real Estate Ebroker, Inc..